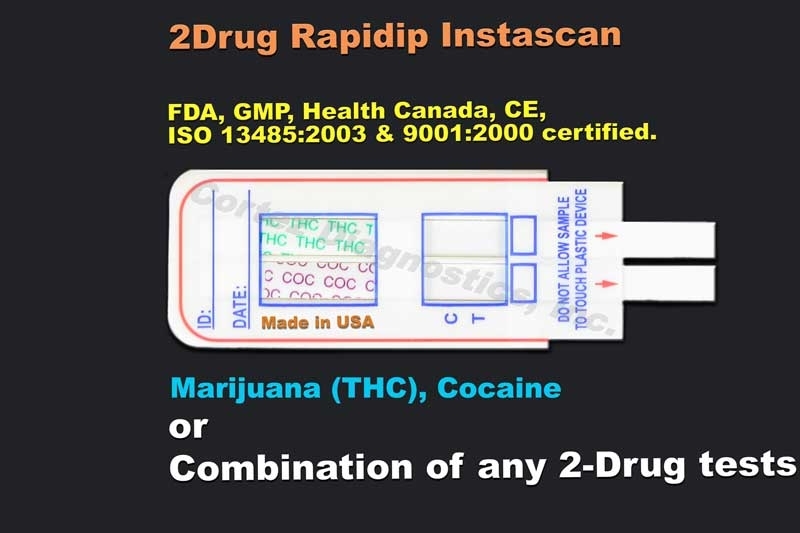 The Buprenorphine Drug Test (BUP Drug Test), or The Cortez Diagnostics Inc. OneStep BUP RapDipâ„¢ InstaTest, is an immunochromatography based one step in vitro test. Our Buprenorphine drug testing kits are designed for qualitative determination of the major metabolite of buprenorphine, buprenorphine-3-Î²-d-glucoronide, in human urine specimens. This assay has not been evaluated in the point of care location and is for use by Healthcare Professionals only. Buprenorphine, is a semi-synthetic opioid derived from thebaine(found in the poppy plant). The Buprenorphine drug is an opioid that has been marketed in the United States as the Schedule V parenteral analgesic Buprenex. The Buprenorphine drug is an opioid medication used in the treatment of opioid addiction for the purpose of relieving acute withdrawal symptoms. In 2003, based on a reevaluation of available evidence regarding the potential for abuse, addiction, and side effects, the DEA reclassified the buprenorphine drug from a Schedule V to a Schedule III narcotic. The Buprenorphine drug resembles morphine structurally but has a longer duration of action than morphine and can be administrated sublingually as an analgesic. In October 2002, the FDA approved the use of a buprenorphine monotherapy product, Subutex, and a buprenorphine/naloxone combination product, Suboxone, for the treatment of opioid addiction. Subutex and Suboxone are the first narcotic drugs available under the US Drug Act (DATA) of 2003 for the treatment of opiate dependence that can be prescribed in the US in a physicianâ€™s work place. It has also been shown that the buprenorphine drug has abuse potential and may itself cause dependency. In addition, a number of deaths have been recorded as a result of overdose with intravenously injected buprenorphine in conjunction with other psychotropic drugs such as benzodiazepines. The Buprenorphine drug is metabolized primarily by n-dealkylation to form glucuronidebuprenorphine and glucuronide-norbuprenorphine. 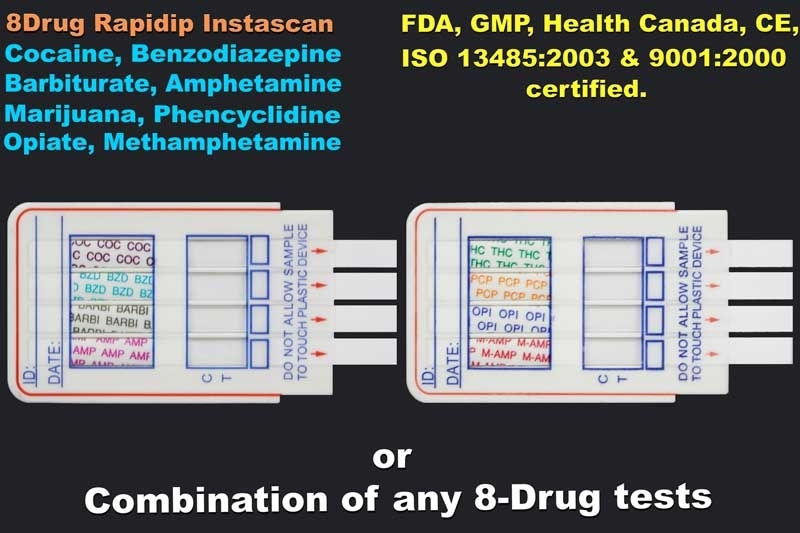 The Buprenorphine Drug Testing device is based on the principle of specific immunochemical reaction between antibodies and antigens to analyze particular compounds in human urine specimen. The assay relies on the competition for binding antibody between drug conjugate and free drug which may be present in the urine specimen being tested. When the Buprenorphine drug is present in the urine specimen, it competes with drug conjugate for the limited amount of antibody-dye conjugate. When the amount of the Benuprenorphine drug is equal or more than the cut-off, it will prevent the binding of drug conjugate to the antibody. Therefore, a positive urine specimen on the Buprenorphine Drug Test will not show a colored band on the test line zone, indicating a positive result, while the presence of a colored band indicates a negative result. A control line is present in the test window to work as procedural control. 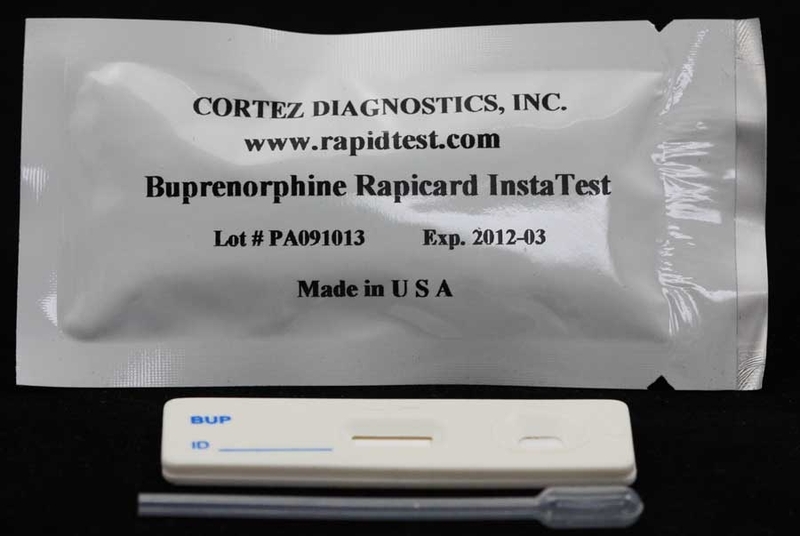 This colored band should always appear on the control line zone if the Buprenorphine drug testing device is stored in good condition and the Buprenorphine drug test is performed appropriately. These rapid diagnostic tests provide only a preliminary analytical test result. A more specific alternative chemical method must be used in order to obtain a confirmed analytical result. Gas chromatography/ mass spectrometry (GC/MS) has been established as the preferred confirmatory method by the Substance Abuse Mental Health Services Administration (SAMHSA). Clinical consideration and professional judgment should be applied to any drug of abuse test result, particularly when preliminary positive results are indicated. The optional built-in Adulteration Test is for validation of urine specimen's integrity and must not be used for In vitro diagnostic use. 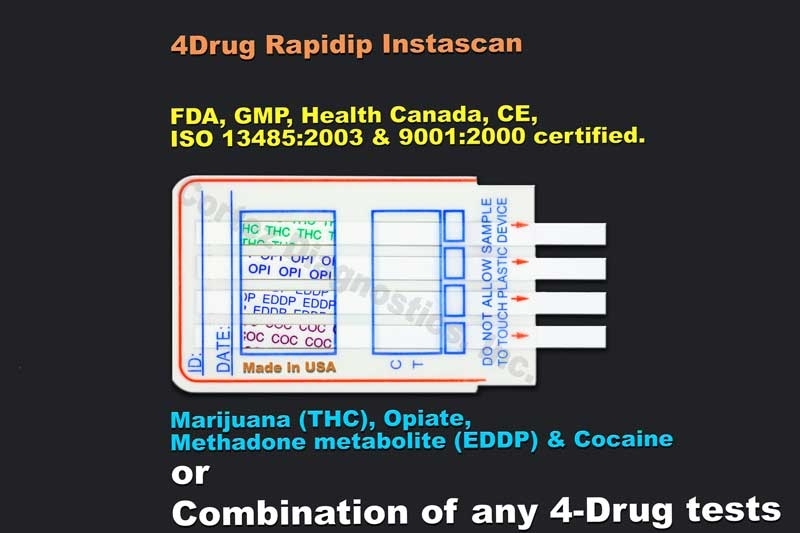 The cutoff level for this Buprenorphine Drug Test (BUP Drug Test) is 10 ng/ml of buprenorphine, buprenorphine-3-Î²-d-glucoronide. For customized cutoff level Buprenorphine drug tests, please contact Customer Service. 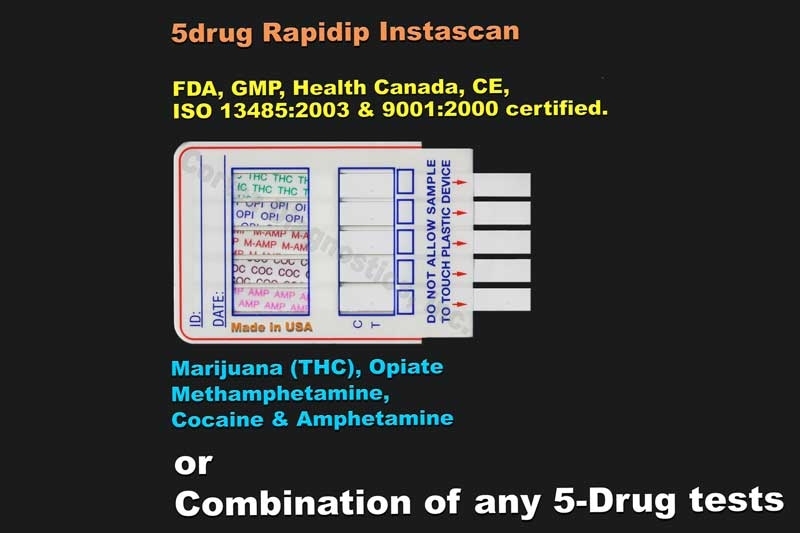 This Buprenorphine Drug Test (BUP Drug Test) is available in multi-panel, cassette, or cup format.